Diabetes Support Supplements by ProactiveLife contains pure cocoa (chocolate), which can lower blood sugar levels for people with type 2 diabetes and pre-diabetes. According to the Journal of American College of Cardiology June 3rd addition type 2 diabetics who consumed pure cocoa witnessed a 30% increase in arterial blood flow. A new product called Diabetes Support Supplements from Proactivelife incorporates pure cocoa powder to help people with Type 2 Diabetes. The heart health benefits of dark chocolate (cocoa powder) have been coming to light in the past couple of years. For type 2 diabetics, there is additional promise for the use of cocoa powder (pure chocolate without the fats and sugars of processed chocolate). According to the Journal of American College of Cardiology June 3rd edition type 2 diabetics who consumed pure cocoa witnessed a 30% increase in arterial blood flow. At the American Heart Institute’s conference in 2011, Harvard researchers looked at 21 studies involving 2,575 participants and found that cocoa consumption is associated with decreased blood pressure, improved blood vessel health, and improvement in cholesterol levles, among other benefits. 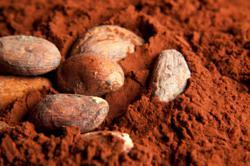 Eric L. Ding, PhD, of Harvard Medical School believes the healths benefits come from polyphonic flavonoids in cocoa. A presentation at the European Society of Cardiology (ESC) 2011 Congress showed that people who consumed the most chocolate had a 29% lower risk of stroke compared with people who consumed the lease amount of chocolate. ProactiveLife (http://www.proactivelife.com) was founded in 2011 to help people living with chronic disease take control of their health. The approach incorporates community, lifestyle changes and natural supplements, which have been proven to assist people with type 2 diabetes. A Community of expert dietitians and exercise trainers operating in the field of diabetes has been assembled by the company ProactiveLife (http://www.proactivelife). The purpose is to provide guidance to type 2 diabetics and pre-diabetics in terms of diet, exercise and natural supplementation. Experts agree proper diet (low in fats and sugars) along with regular exercise is crucial to diabetic management. Diabetes Support contains 10 clinically proven ingredients to lower blood sugar naturally including pure cocoa, cinnamon, omega-3, vitamin D and others. Along with lifestyle changes including diet and exercise Diabetes Support is a new proactive approach to Type 2 Diabetes management.